“MATTER sources hertitage prints and styles, reinterpreting them for the modern nomad." What initially drew me to MATTER Prints was their unique fabrics and style of clothing. Easy-to-wear jumpsuits, rompers, and pants with edgy details and luxury combined. The lifestyle brand focuses on slow production using heritage textile prints and ikat woven fabrics made by skilled artisans from rural communities. Let's take a deeper look into the brand and you'll understand why MATTER Prints is part of my "Eco-Brands We Love" collaboration series. "We are a socially motivated lifestyle brand connecting communities to opportunity, creating travel ware with stories to tell." 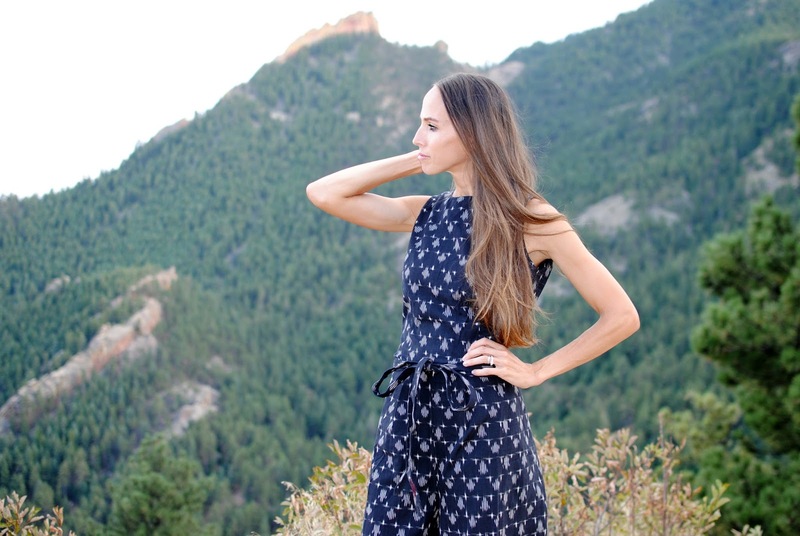 Matter Prints is simply beautiful clothing created with the intention to make where, why something is made, and by whom, matter. I'm wearing the The Classic Jumpsuit + Rana. Unique style of clothing!I liked it!Thanks for sharing.I appreciate for partnering with rural textile artists which help expand their economic opportunities. Such a tremendous dress i really love it. Amazing. You Blog is great. The clothes are very beautiful and stylish.